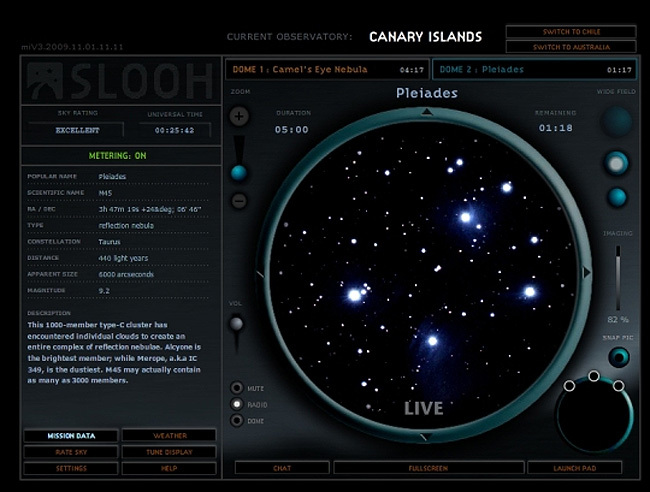 Google has announced a partnership with Slooh an astronomy website that allows users to view and upload images of space. Google will be adding a Slooh layer to Google earth allowing users to view live astronomy events and explore our surrounding universe. The new Slooh “map the universe” layer integrates Slooh’s Space Camera technology and worldwide network of powerful robotic mountaintop telescopes with the Google Earth application. Anyone, regardless of age or skill level, can explore outer space in real-time and play an active role in mapping the universe.